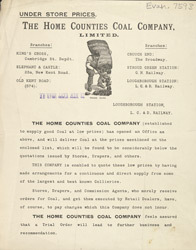 The coal industry expanded enormously in the 19th century, as railways and industry grew throughout Europe. Coal mining companies made fortunes, employing thousands of workers to mine hundreds of thousands of tons of coal every year. If poorly managed, coal could be a wasteful fuel, with as much as 80% of the heat disappearing up the chimney in domestic fires. This made it necessary to develop grates and other systems to keep the heat in the house. As coal was cheap, large quantities were kept in a pit underneath the houses of the middle and upper classes. The very wealthy would have their servants bring coal up as required.